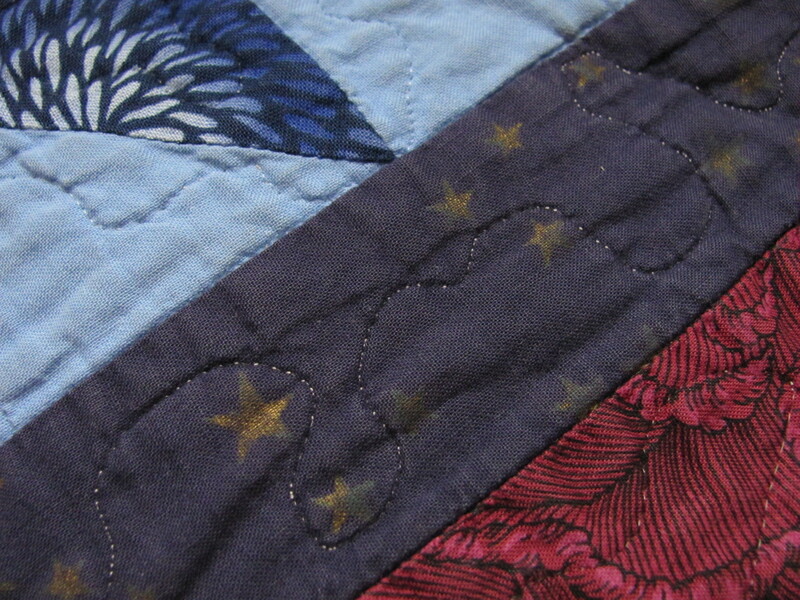 Pulling it up to your chin is hard on a quilt’s edge over time. Photo by Barb Gorges. The first four parts of this series examined quilt genetics—what materials and techniques make a strong quilt that might last a few generations. Now we’ll look at how a quilt’s lifestyle—the way you use it, affects its longevity. Lying on a bed is a safe place for a quilt. No stress on seams, probably dim light, and temperatures comfortable for humans and textiles. The lucky quilt is protected from jumping pets, stuff thrown on it and people sitting on it. But it’s hard to train family to flip back the quilt before sitting or packing a suitcase on it. Bedmaking can be hard on a quilt if someone grabs the top edge and just pulls. It is better to lift the quilt into place instead of tugging. 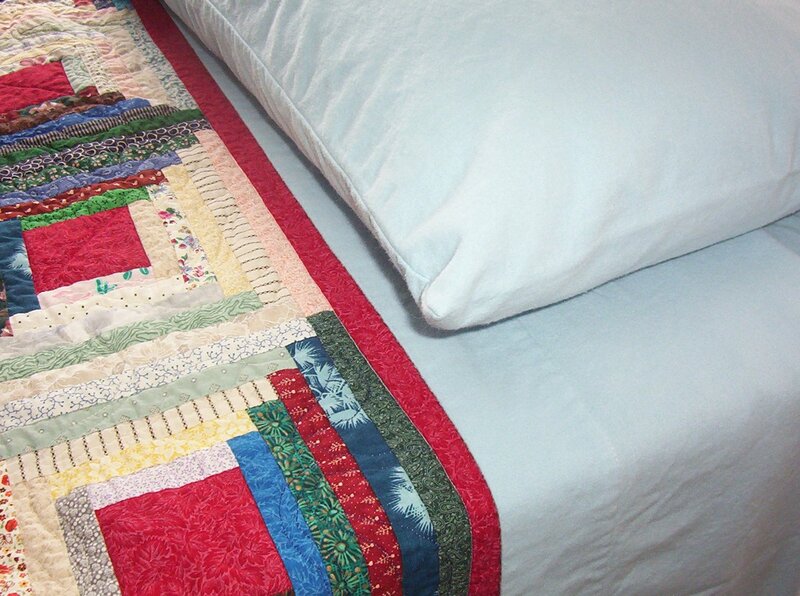 Protect the top edge of your quilt with a generous amount of sheet turned over it. Photo by Barb Gorges. The top edge of a quilt also gets a lot of wear from the oils from our hands and faces, and the roughness of men’s beards. I like to make square quilts so the edges can be rotated. But the best protection is a generous amount of sheet turned over the quilt’s edge. Long ago, housewives basted fabric “beard guards” over the top edge of a quilt. The ones I’ve seen cover maybe 6-10 inches on both front and back. I don’t know if they were left on until they were completely worn out, or if the industrious housewives took them off for washing on a regular basis. Conservation of your quilt must be balanced with use and enjoyment. Some quilts are destined to be dragged by small children or spilled on while eating in front of the TV. Hopefully, those aren’t the ones you put much time into making. If your quilt wears out prematurely from love and hard use, take that as a compliment.